Property investors are increasingly under pressure as rising property prices have compressed yields, making it more difficult to generate returns. This has led investors to seek out assets in need of work so they can buy them at a lower price, make renovations and sell them on or rent them out more profitably. When investors identify a good opportunity it can be frustrating if they are unable to capitalise on it due to lack of funding. 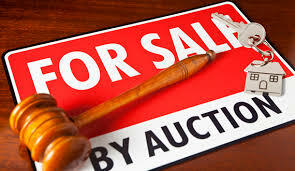 Often the key hindrance is the speed at which funding can be obtained, especially for those looking to purchase a property at auction or fend off competition on a good opportunity. Furthermore, as investors buy properties in need of major refurbishment, the difficulty in accessing mortgages from high street banks has intensified, as banks are less likely to lend on uninhabitable properties. Bridging finance can be used to address these issues by giving investors the ability to buy properties and make the necessary renovations, whilst also providing funding with speed and agility. It has become the perfect tool for borrowers targeting buy-to-let investments in a rundown state, with a view to obtaining planning permission so as to extend and/or renovate, before putting them on the rental market. As an example, MTF was recently approached by a developer focused on an investment property worth £330,000 in London that had good letting potential. He wanted to buy, refurbish, and then rent it out, but was unable to get a buy-to-let mortgage as the property was uninhabitable. MTF provided a £214,500 bridging loan within a week, at 65 per cent loan to value, over a 12 month period with no exit fee or early redemption penalty. The bridging loan gave him the funds to buy the property and also the time needed to carry out the works in order to significantly increase its value. The borrower then refinanced out of the bridging loan with a long term buy-to-let mortgage from a bank, against the higher value. In another instance, MTF was approached by a borrower who required a bridging loan on an investment property in Covent Garden, which had an open market value of £950,000. He wanted to redeem an existing first charge with his mortgage lender and then refurbish the property. MTF provided a £672,000 bridging loan secured by way of a first charge, enabling the client to clear his mortgage and use the remaining funds to remove a partitioning wall and false ceiling to open up the property. Once the refurbishment works are complete, the investment property is estimated to fetch a price in the region of £1.4m, so the client will be able to move on to his next project with a substantial profit. Bridging finance is giving borrowers the freedom to enhance the value of their investment properties, and is providing a solution when high street banks are unable to lend the amounts required in the necessary time frame. One of the most obvious advantages of a bridging loan is the speed at which it can be completed. Bridging lenders can make decisions within hours of initial enquiry and funds can be released in less than a week, preventing investors from either missing out on opportunities or leaving properties sitting in portfolios without generating returns while they wait for financing from long term lenders. For many investors and developers, the difference between success and failure is being able to finance a project, bridging finance could provide solutions and empower borrowers to turn their aspirations into achievement. MTF is a leading bridging finance lender specialising in short term loans including auction finance, bridging loans, both first and second charge loans and is recognised throughout the industry for its speed and service. Established in 2008, the company has won multiple awards including Best Bridging Finance Provider at the Business Moneyfacts Awards 2016, Best Service from a Short-term/Bridging Lender at the Financial Reporter Awards 2015 and Best Service from a Bridging Finance Provider at the Business Moneyfacts Awards 2014. It was named ‘Short-term Lender of the Year by the NACFB in 2014.